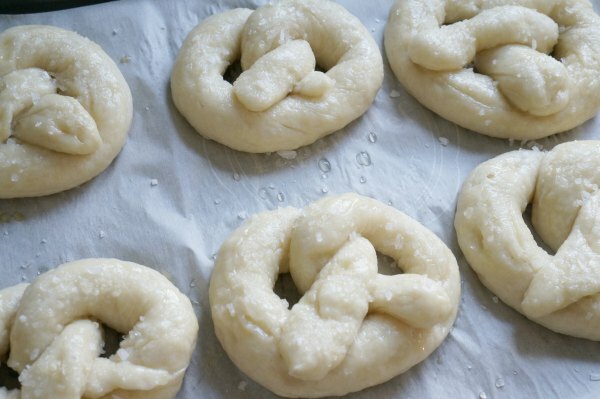 Getting the kids in the kitchen today with this basic and yet oh so fun homemade soft pretzel recipe. 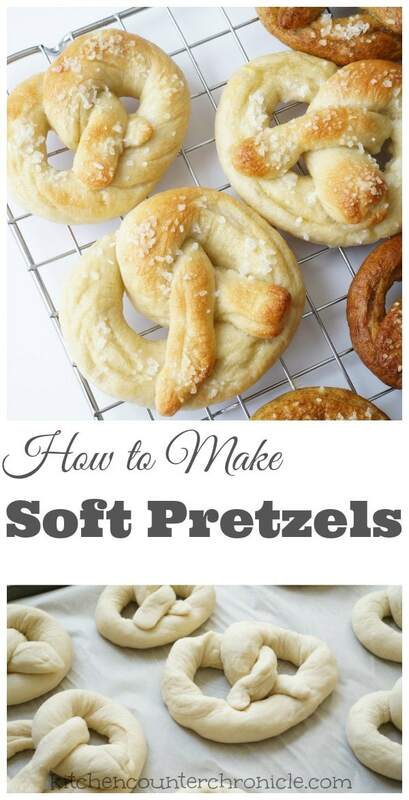 Because really, who doesn’t love a soft pretzel. We love working with edible doughs that can be shaped and played with. 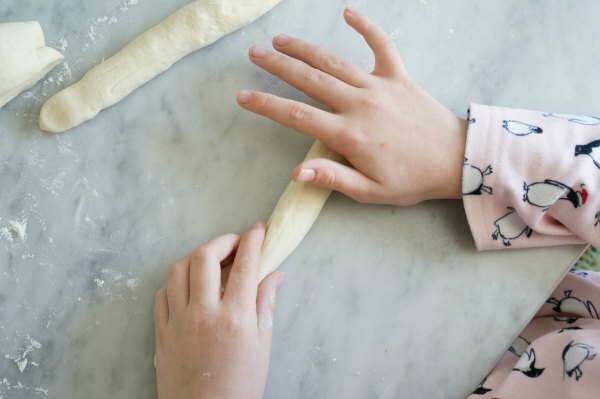 What a super fun way to motivate kids to bake. We also learned what happens when you add baking soda to boiling water (hint : be careful). 1. 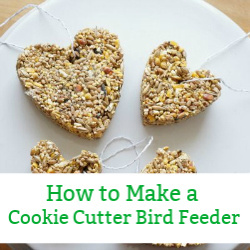 Combine yeast, sugar and warm water in the bowl of an electric mixer or in a large bowl. Let sit for 5 minutes. Watch for little bubbles to pop onto the surface of the water. After 5 minutes, stir the water to dissolve the yeast. 2. Stir in the flour and salt. 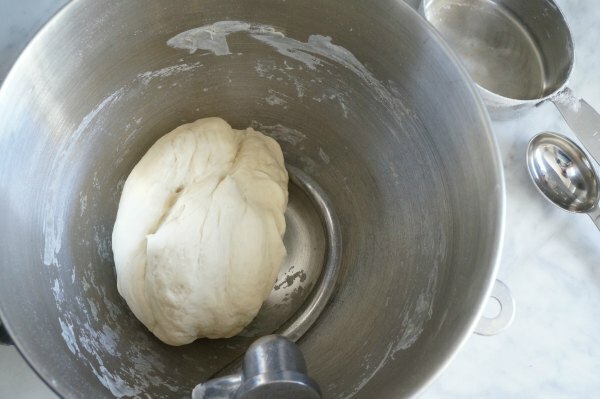 Knead the dough on low for 5 minutes in a stand mixer, or knead by hand for 5-7 minutes. After kneading for 2 minutes, if the dough is very sticky add a bit more flour (1 tbsp at a time). 3. In the end, the dough will be smooth and will form a ball that pulls away from the sides of the bowl. 4. Remove the dough from the bowl. Clean the bowl and grease the bowl with 1 tsp of vegetable oil. Place the ball of dough inside the bowl, cover with plastic wrap and set aside to rise – at least 1 hour. We set our bowl on top of our dishwasher, that had just finished running. The surface was nice and warm. Place your bowl in a warm location; top of the fridge, top of the stove, top shelf in the kitchen. Once the dough has doubled in size (after an hour) remove the dough from the bowl and cut it into 8 portions. 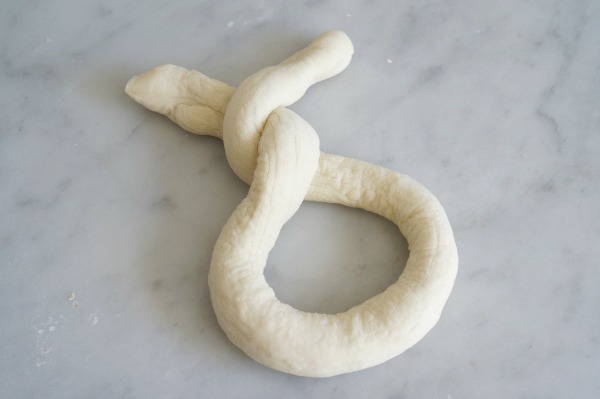 Roll each portion into a snake of dough, about 20 inches long. If the dough springs back when you roll it out, let it sit for a moment and then try again. 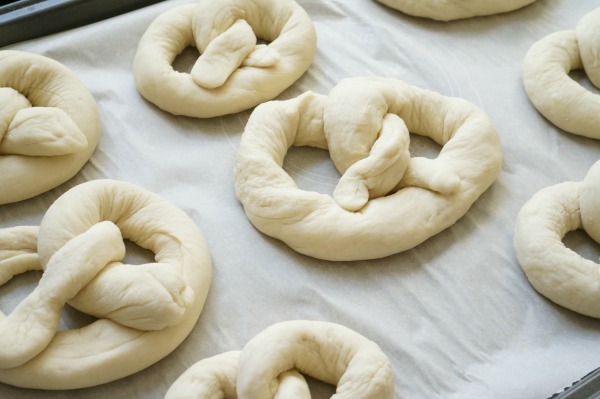 Once you have your dough snake, it’s time to make the pretzel shape. Make a “U” shape, then cross the two ends over each other. Fold the two ends back over the bottom of the “U”. Done. Place the completed pretzels on a parchment paper lined baking sheet. Cover with plastic wrap and let rise for another 20 minutes. Drop the bagels into the boiling water, don’t over fill the pot with bagels. Let them boil for 30 seconds then turn them over and boil for another 30 seconds. Remove from the water with a slotted spoon and place back on the parchment paper lined baking sheet. Make the egg wash by whisking together the egg and water. Brush boiled bagels with egg wash and sprinkle with bagel salt. Bake in 450°F oven for 12-15 minutes, until golden brown. Transfer to a cooling rack. Serve while warm. This was a really fun recipe to make with my daughter. 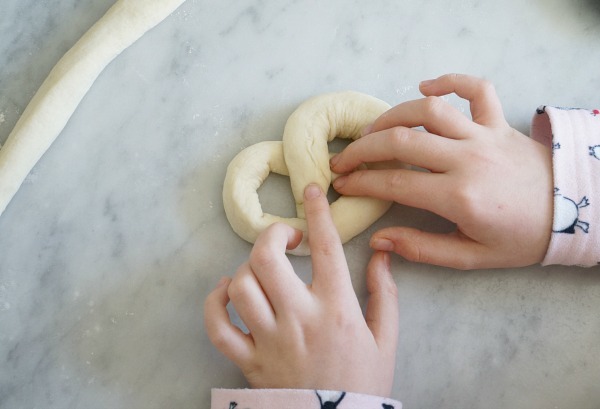 Shaping the pretzel dough was the same as working with play dough – which kids love to do. The bubbling pot of boiling water was quite the adventure, too! We learned about the difference between a bagel and a pretzel. The first batch we made, I forgot to add the baking soda to the boiling water – thus, we made bagels. Pretzels require the use of an alkaline water bath. Who knew!? 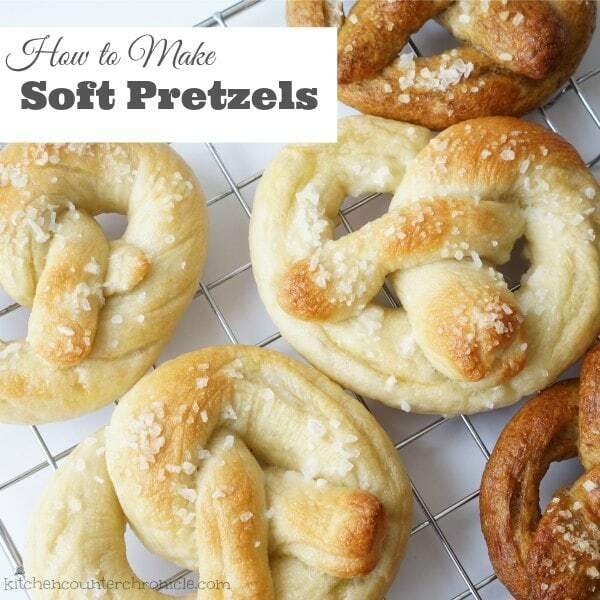 All in all soft pretzels (and pretzel bagels) are delicious and a fantastic recipe to make with kids. It does require a good amount of patience in the beginning, but once the pretzels are shaped you only have to wait a few minutes to enjoy the fruits of your labour. 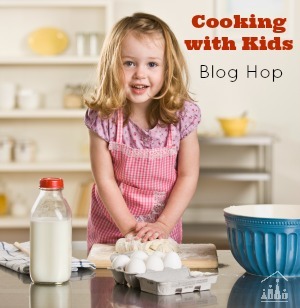 Today’s post is part of the Cooking With Kids blog hop being hosted by Crafty Kids At Home. 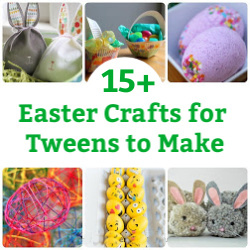 Be sure to head over and check out the other delicious kid friendly recipes being shared. 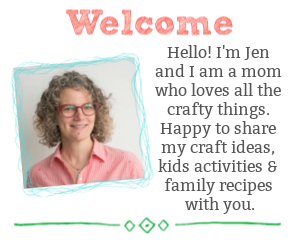 Looking for more delicious and simple recipes, learning activities and creative crafts for your children to enjoy, be sure to subscribe to have our posts delivered directly to your inbox. 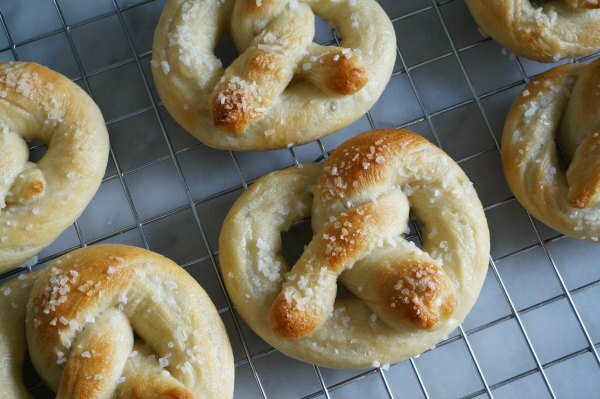 We have never made pretzels before but love making bread together so we definitely need to have a go at this recipe. 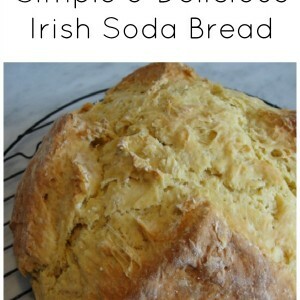 Thanks so much for sharing this great recipe in our Cooking with Kids Blog Hop. These look very yummy! We will try this out one day after school.